Surprisingly good and a great psychological thriller! 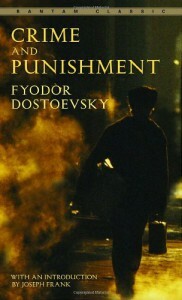 Classic literature isn't really my thing but all the Russian novels I've read so far, I've liked if not loved. There were definitely golden moments and I don't mind the philosophical rumination because its all part of the grand picture in the story. This is definitely one of those things people need to read before they die. It makes one think about life and consider it in a different view.